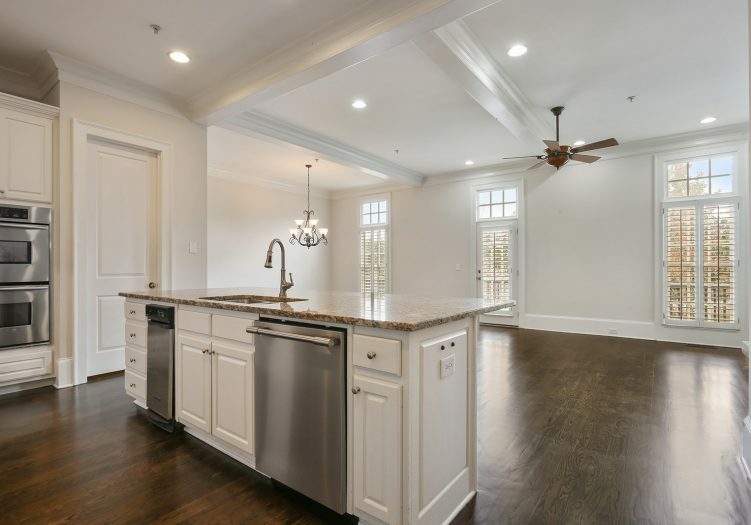 Located near downtown Roswell across the street from Old Mill buildings you will find Founders Mill, eleven extraordinary and luxurious brick townhomes that emulate modern urban chic. 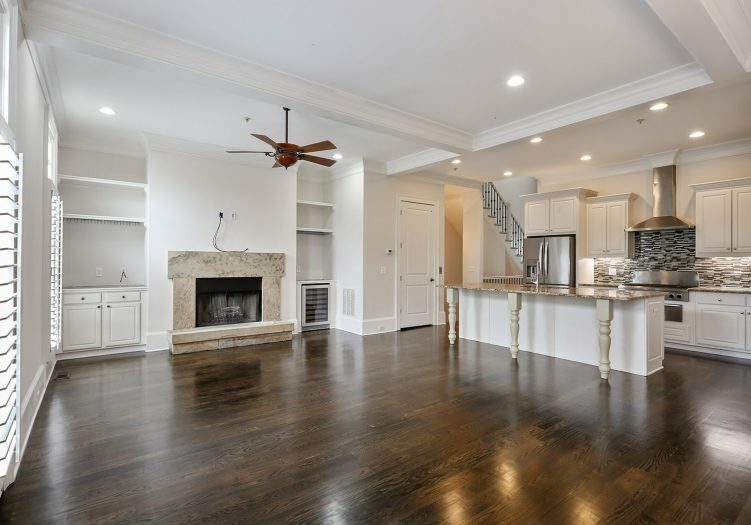 Thoughtfully designed to mirror 19th century England, this stunning townhome’s simple, yet history rich design and architecture impresses. A bright, open entrance welcomes you into the home. 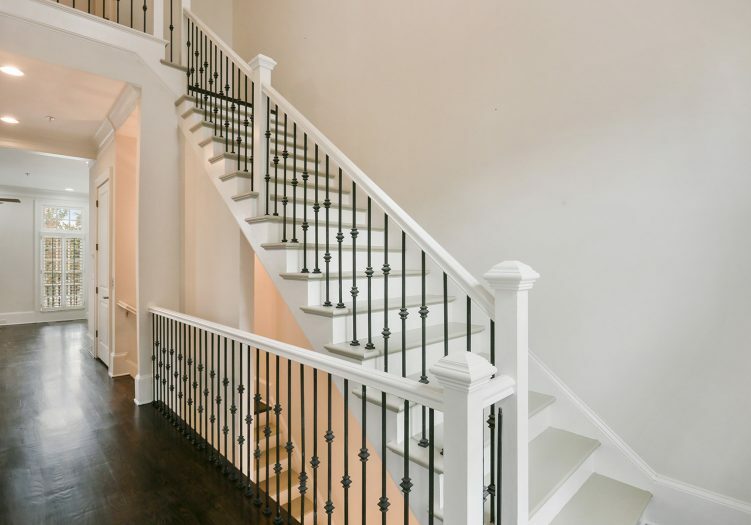 Take the journey up the hardwood stairs to the second level. Large windows fill the second level with natural sunlight. 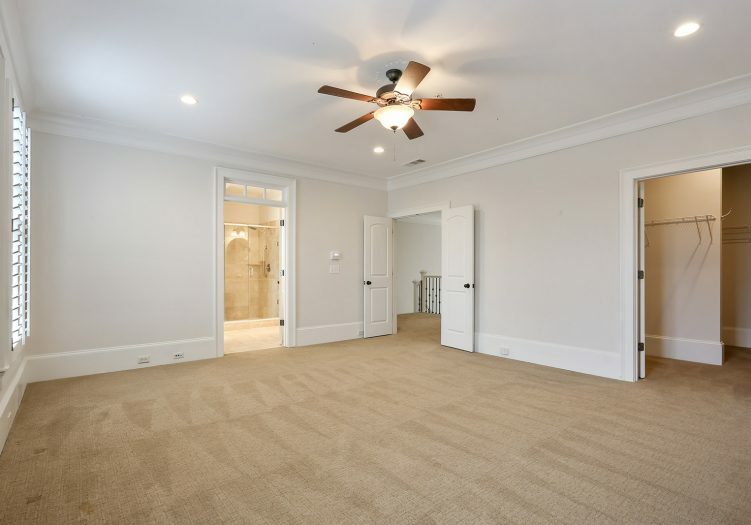 The large family room is wonderful place to relax or gather with friends and boasts a coffered ceiling, new hardwood floors and plantation shutters that extend throughout the home. 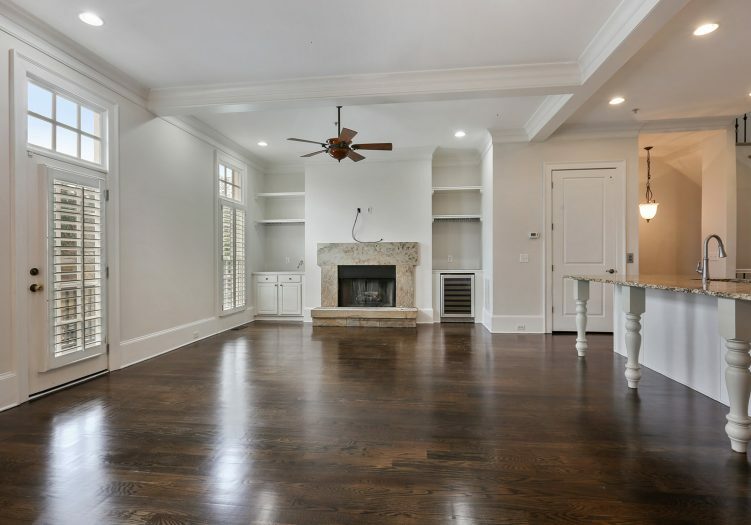 Enjoy catching up with friends next to a fire in the gas fireplace with a gorgeous custom mantle flanked by built-in cabinetry with granite tops. 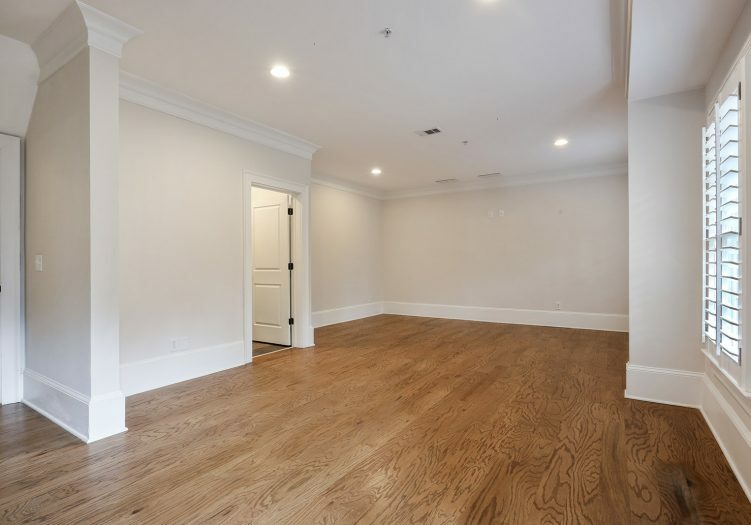 The family room leads you into the dining room, a wonderful place to host your next dinner party of eight or more guests. 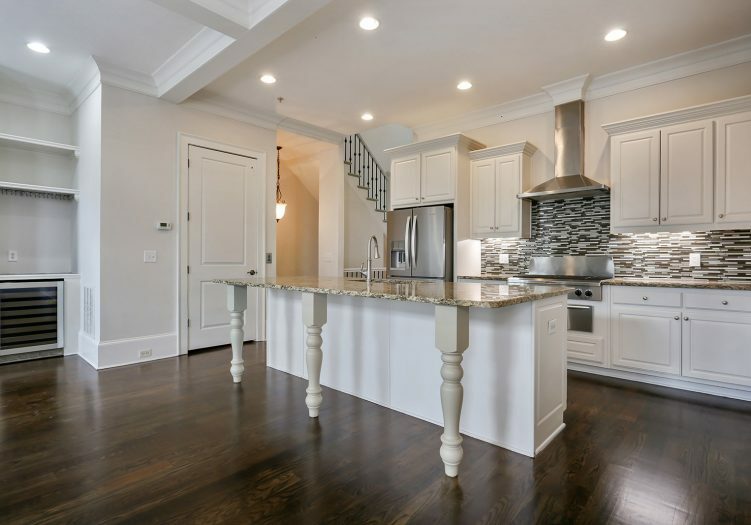 Elegant crown and base molding complete the look. 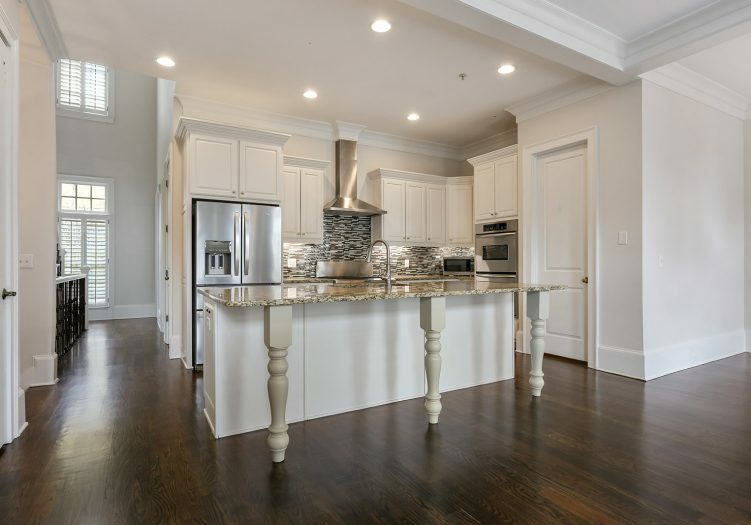 Adjacent to the dining room, the gourmet kitchen will make any chef feel right at home. 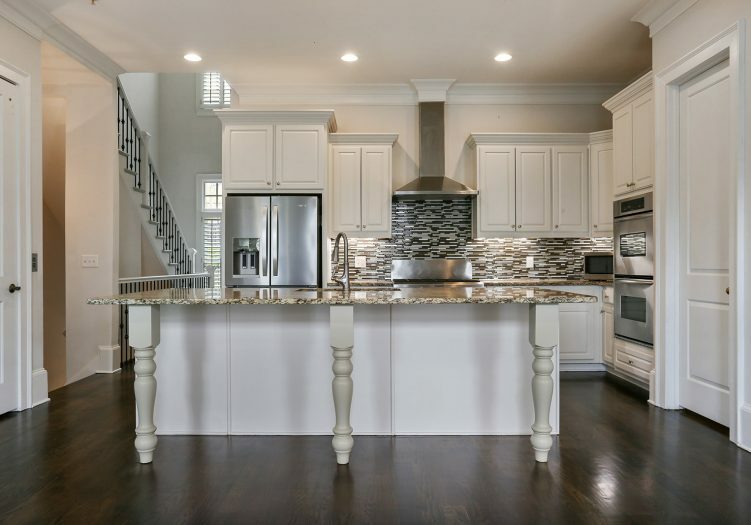 Indulgent features include granite countertops with a glass tile backsplash, designer cabinetry and large island. 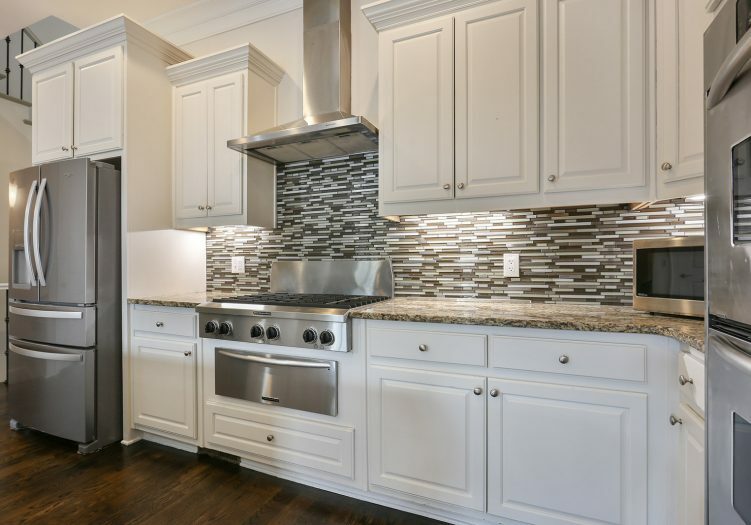 Enjoy cooking on stainless steel appliances, including a six-burner gas stove with a warmer drawer, double wall ovens, and new a side-by-side refrigerator. The kitchen also offers a built-in pantry. 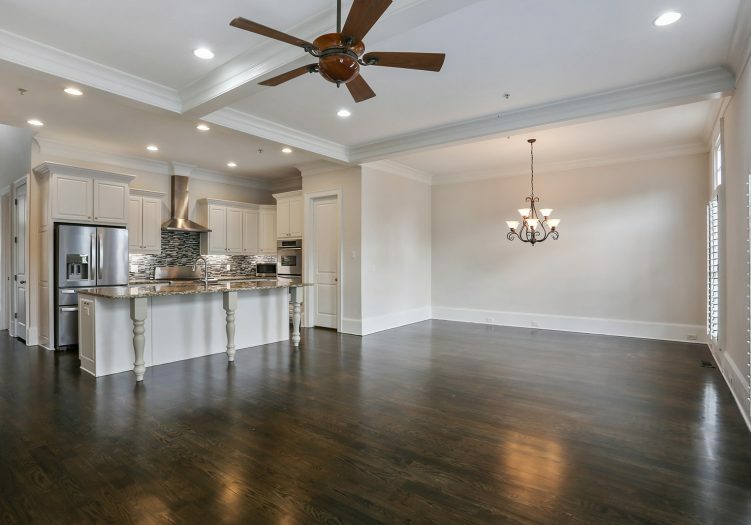 The breakfast area is great for quick meals or for friends to chat while you prepare the hors-d'oeuvres. 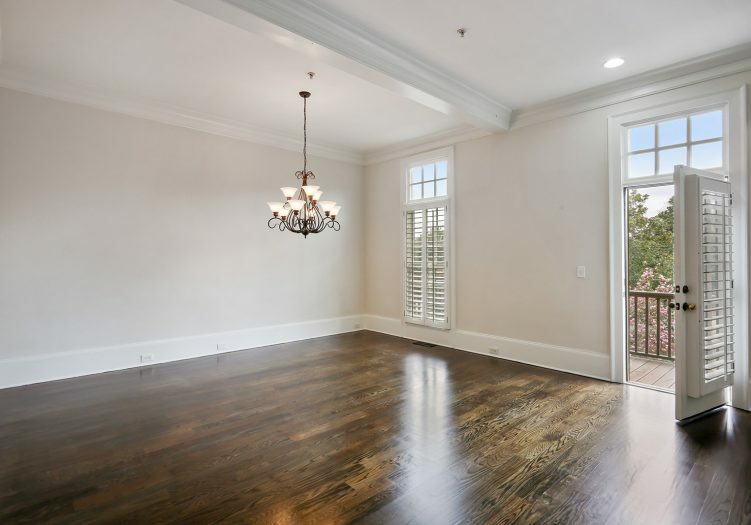 With an open view to the dining room and living room, the open floor plan is ideal for entertaining. 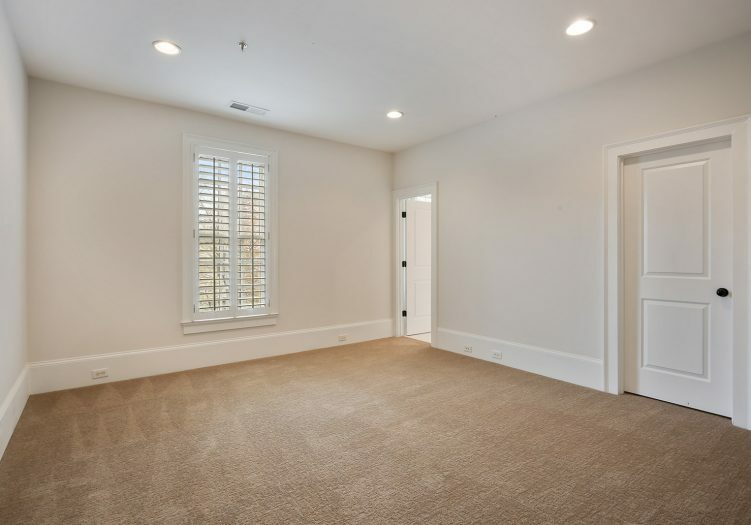 A guest bedroom located on the second level is great for out of town visitors, or would also make an ideal home office, library or media room. 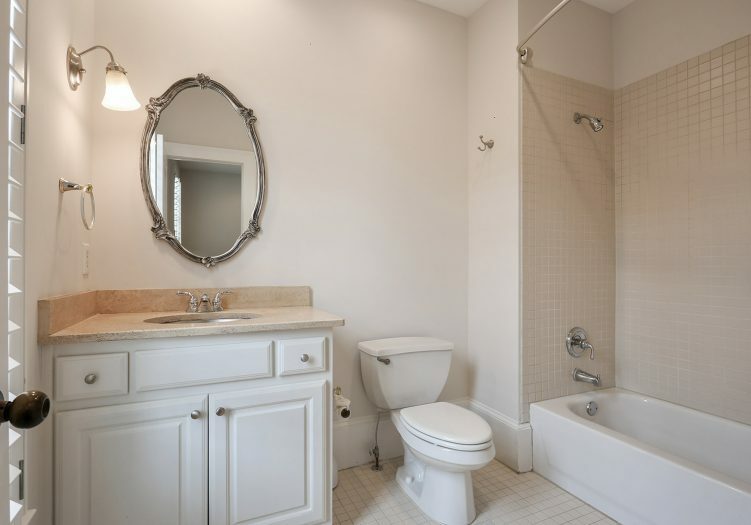 The posh guest bathroom will make visitors feel right at home with a tile surround shower and a stainless-steel under-mount sink with a stone vanity. 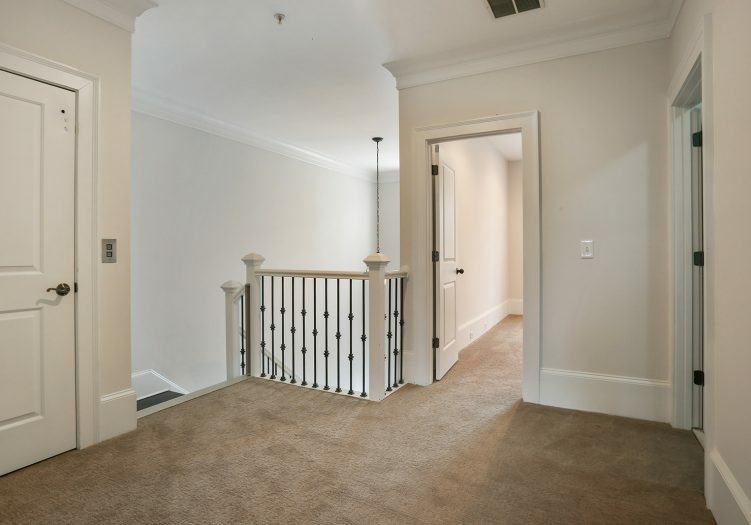 The townhome also includes a full-service elevator with access to all three levels, making moving around a breeze. Located on the upper level, the lavish oversized master suite is your new personal sanctuary. 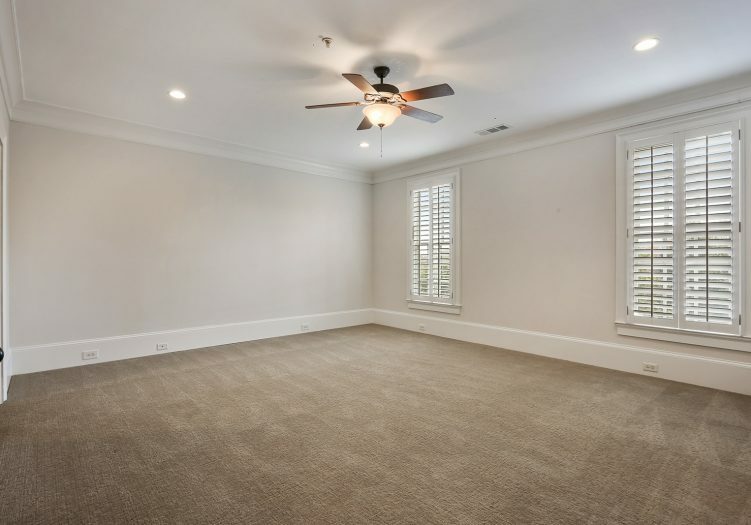 This oversized room is spacious enough for all your king-sized furniture. 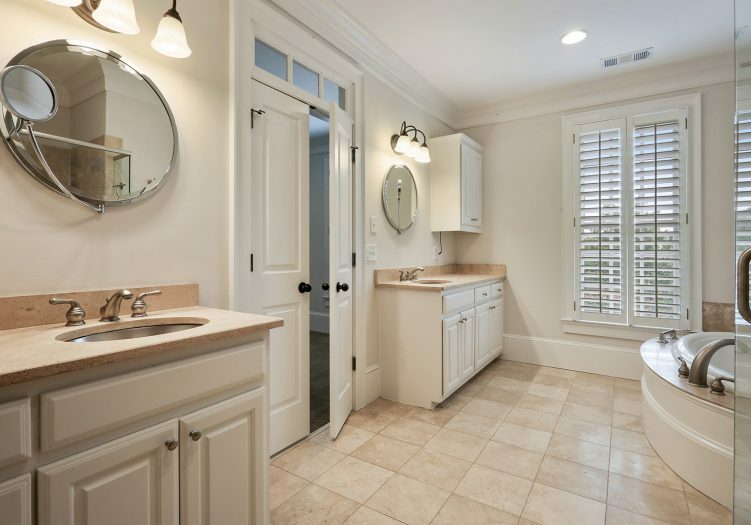 French doors lead to the indulgent spa bathroom, which will capture your heart with travertine floors, dual vanities with under-mount sinks and custom mirrors. The sizeable shower is a dream and boasts a rain shower head. 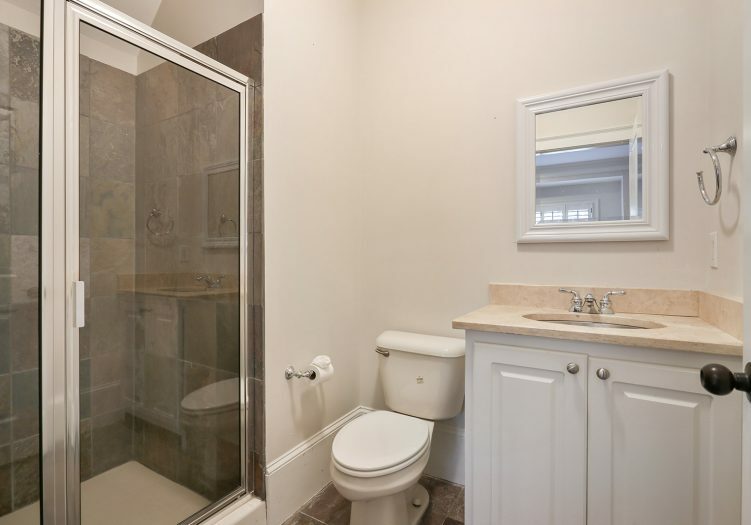 The master bathroom also includes a luxurious soaking tub. 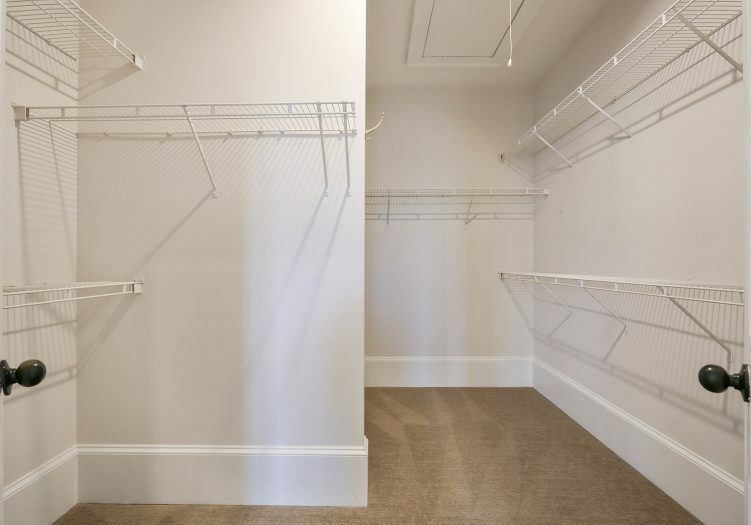 The master suite also offers a walk-in closet. A second guest suite is also located on the upper level. Outfitted with the same first class finishes as the rest of the home, visitors will always feel welcome and comfortable while stay with you. 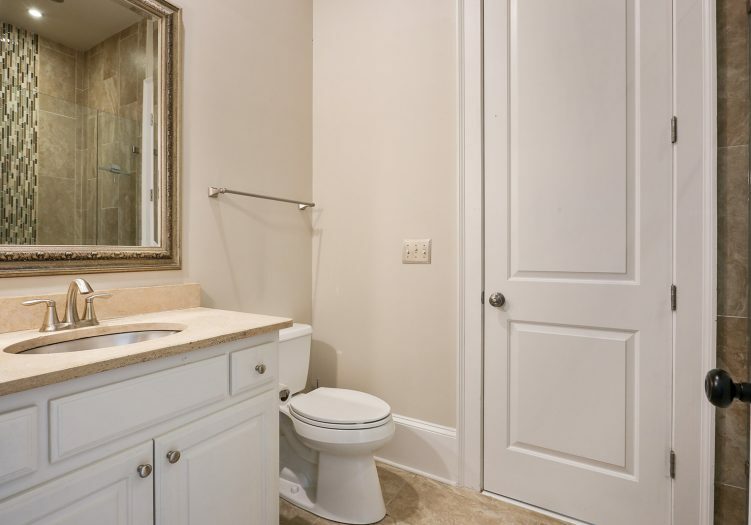 The adjoining bathroom shines with a tile floor, tub/shower combo, plantation shutters and a large walk-in closet with shelving. 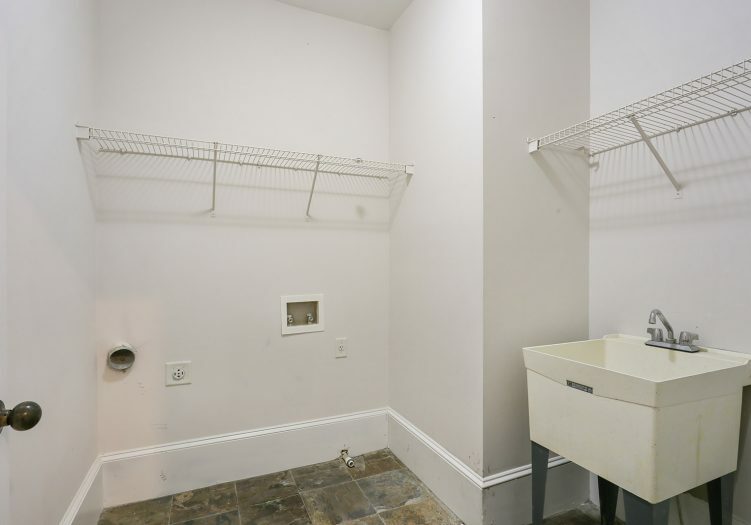 On the upper level is a generous sized laundry room with slate flooring, a utility sink, built-in cabinetry and an additional closet. 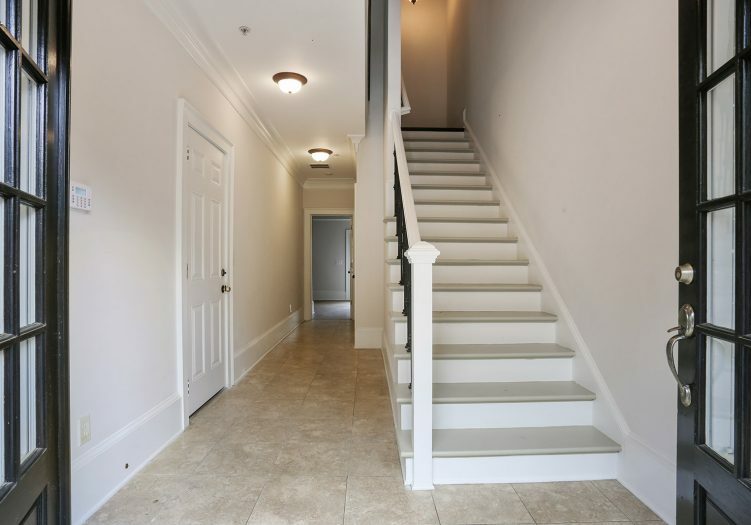 The terrace level of the townhome is an absolute show-stopper! An oversized secondary bedroom with lovely bathroom perfect for a quiet respite for guests. Walk out onto the gorgeous back patio; a vision of tranquility. A brick wall and professional landscaping encases the patio, creating absolute privacy, and a fountain creates an atmosphere of serenity. Enjoy reading the Sunday paper with a cup of coffee or invite friends over for summer bar-be-cues in this unique outdoor living area. 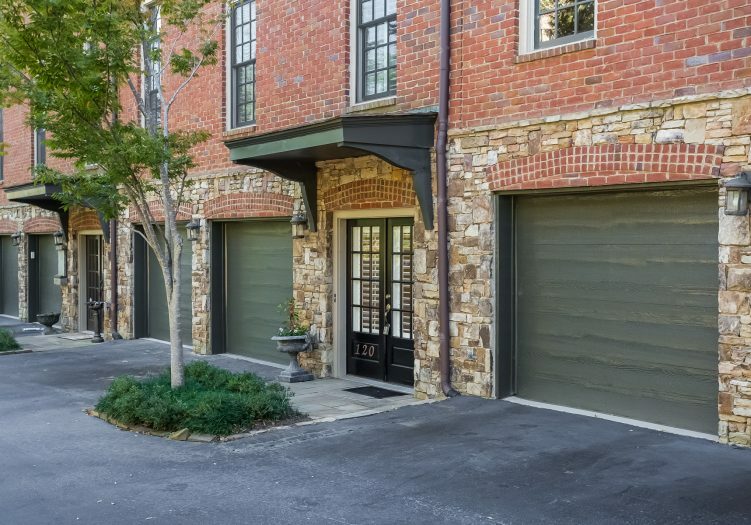 This townhome also includes a two-car front-entry garage and outdoor deck on the second level to enjoy additional outdoor living. 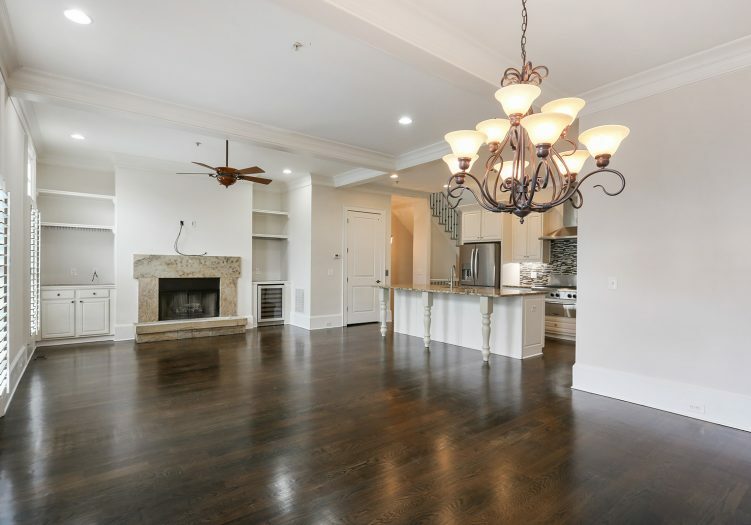 This exclusive townhome development creates a distinct feel and personality with a great sense of tradition. 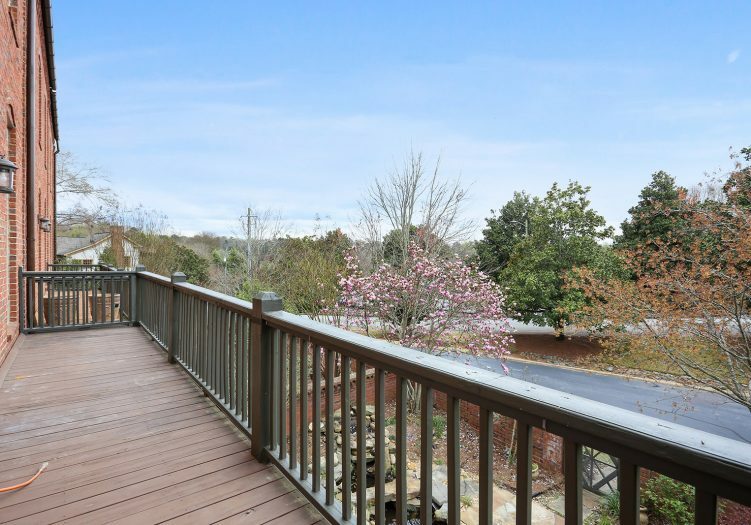 Living in Founders Mill, you will be close to one of the most beautiful areas in Roswell, the City’s Old Mill Park. 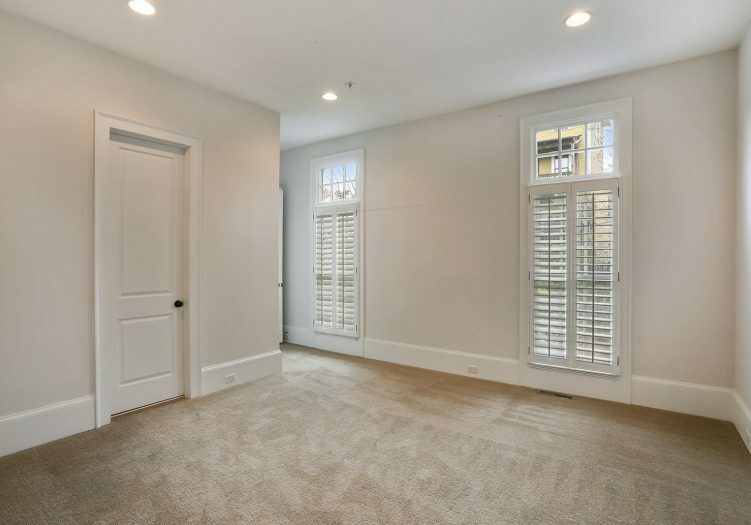 You will also be a short walk from the Chattahoochee River National Recreation Area, as well as Big Creek, which leads into the Chattahoochee River.